Welcome to Must Read, where we single out the best stories from around the automotive universe and beyond. Today we have reports from Automobile, Japanese Nostalgic Car and Vice. 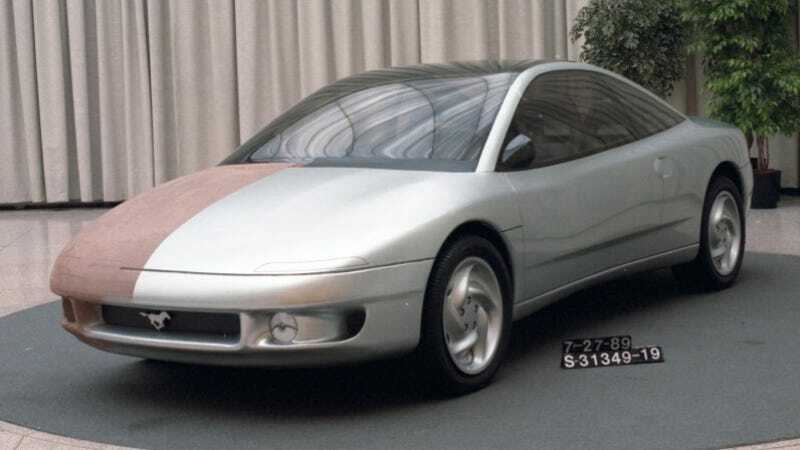 Most people know that the front-wheel drive Ford Probe was almost a Mustang until Ford came to their senses at the last moment. What Automobile reveals in this great feature is Ford's insane "New Coke" strategy that called for selling the new, Mazda-based front drive Mustang alongside the old one for a while, which would then be called the "Mustang Classic." Let's be glad enthusiasts spoke up and forced Ford to scrap the plan. Farr’s column, along with other media coverage of the proposed front-drive Mustang, prompted enthusiasts to write the automaker en masse, noting their disgust at the idea of a front-wheel drive Mustang. Ford was inundated by the response, and actually listened. Although the SN8 had evolved into the updated ST16 project, the car was renamed Probe when it launched in 1989, and was no longer intended to replace the Mustang. Let's hope for a new one soon. Great photos and words here. Of course, racing was the raison d’etre for everything Soichiro Honda did, and the S-cars served that purpose well. The S-chassis, especially in S600 and S800 guises, were hugely popular platforms for many of Japan’s early drivers who would go onto fame and glory in the 1970s touring car era. Vice's Motherboard has a chat with John Plonka, the engineering manager of the CTS program, about technology. Cars are more powerful, more efficient, and smarter than they've ever been—and only getting more so. Indeed, your ride is the most complicated gadget you own. So how does one integrate the rapid advancement of mechanical and electronic systems into a cohesive whole?